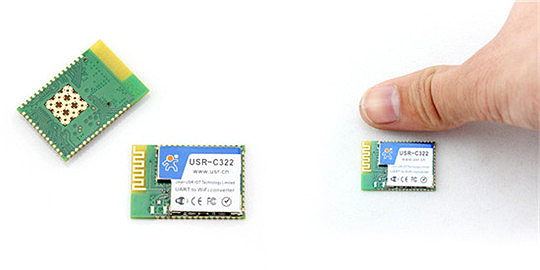 This is a uart to wifi module,used for data transparent transmission.USR-C322 is a wifi module released by USR IOT,which has the features of minisize,low power and industry-grade.The hardware of USR-C322 wifi module integrates MAC,baseband chip,RF transceiver unit and power amplifier. 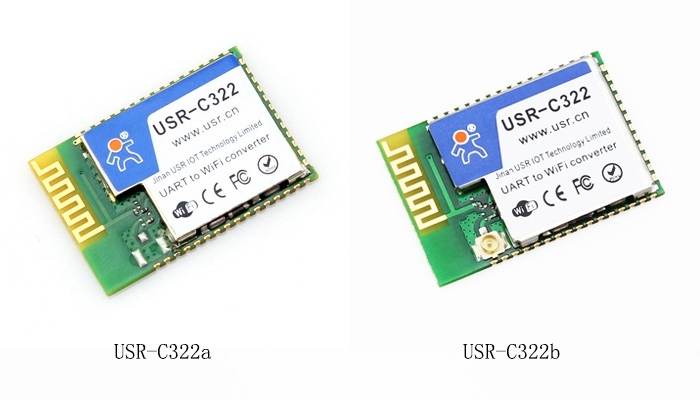 USR-C322 wifi module is based on TI CC3200 chip,which has industrial ARM Cortex-M4 core and ultra-low power operation mechanism.And it supports WiFi protocol and TCP/IP protocol. User can achieve the function of UART devices connecting to Internet with simple configuration.